Meet Natascha Stolle, the half German, quarter Italian, quarter Japanese fashion designer from America. Anyone who is as fond of asos.com as we are at Tellusfashion, should note this key designer; Natascha Stolle has designed a popular capsule range which is available online. She is also designing a range for the b Store’s in house label. Natascha studied English Literature before turning her talents to fashion design. In 1999 she moved to London to study an MA at Central Saint Martins College. She has previously worked for Peter Jensen for ten seasons and Fashion East for two. She also debuted at London Fashion Week with her SS/09 collection. Her unique style combines an alluring mix of slouchy with Hawaiian influences in an array of textiles and materials. Her tailoring is a result of her own experiments; something which she is clearly naturally talented at. Don’t miss her Asos collection. 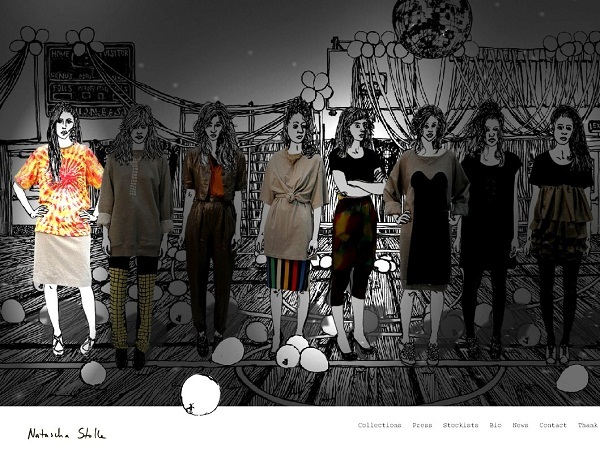 Natascha Stolle is certainly one of our favourite high street designers! Images courtesy of Cherie City.